Ongoing research is vital to the success of the Transplant Program at UT Southwestern Medical Center. As an academic medical center, we participate in clinical trials and other research aimed at improving patient care and outcomes. We continuously evaluate new technologies for treating heart, liver, lung, and kidney disease in order to provide the highest level of care for patients who need transplants, and we’re investigating novel ways to increase the number of healthy donor organs so that we can help more people. Topics of ongoing clinical studies include acute liver failure, liver cancer, viral hepatitis, fatty liver, and autoimmune liver disease. We’re also building knowledge through the UT Southwestern Liver Disease Repository and Registry, aimed at learning more about liver disease and other related disorders. Known for groundbreaking work in kidney transplantation, our expert physicians and scientists are behind several innovations that have become national standards of care. 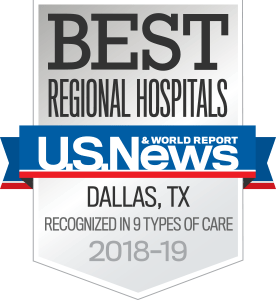 For example, UT Southwestern’s program was one of the first to use anti-lymphocyte antibodies to prevent and treat rejection; calcium channel blockers to improve the early function of transplanted kidneys; and molecular biology to better match donor kidneys with the patients who need them. In 2016, UT Southwestern transplant surgeons performed the first lung transplant in Texas using donated lungs treated with then-new technology known as ex-vivo lung perfusion. The technology allows physicians to evaluate and recondition lungs, making lungs that would have been unsuitable for transplantation potentially viable. UT Southwestern was one of 16 medical centers across the country – and the only one in Texas – participating in a national clinical trial of the technology, which was aimed at significantly expanding the number of donor lungs available for transplantation.